A young journalist on trial for sedition in the Gambia has escaped from the hospital where he was receiving treatment under armed guard, according to court transcripts obtained by AFP on Thursday. Alagie Ceesay, manager of the Teranga FM radio station, was arrested by the country's secret police in July last year and had been denied bail four times despite mounting concern over his health. Ceesay failed to show for a court appearance on Wednesday. After the judge asked why he was not present, prison officer Kalifa Bojang told the court he was no longer in their custody. "He was sick and taken to the Edward Francis Small Teaching Hospital in Banjul, on April 24, 2016 and was admitted up to April 20 at around 12am to 2am when he escaped from the hospital and we are still searching for him," the guard said, according to the court document. The journalist had been hospitalised on multiple occasions suffering from liver and asthma problems, with rights groups calling for his unconditional release due to the nature of his prosecution. The charges of sedition and "publication of false news" against Ceesay relate to allegations that he distributed images by mobile phone of a gun pointed at a picture of President Yahya Jammeh. Fatou Jagne Senghor, regional director of rights group Article 19, had said on Monday the charges against Ceesay were "baseless". "He should never have been arrested in the first place," she said in a statement, adding his health was an obvious aggravating factor. Ceesay has had several brushes with the law in the small west African country, whose iron-fisted leader Jammeh is regularly accused of rights abuses and repression of the media. 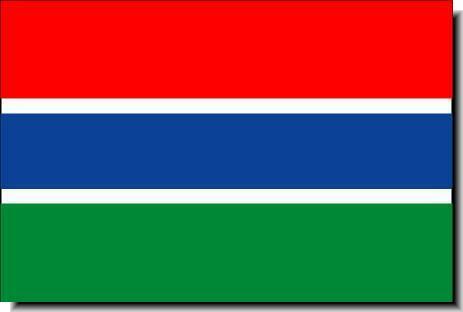 The Gambia ranked 145 out of 180 countries in Reporters Without Borders' recently published 2016 World Press Freedom Index, pointing to "a climate of terror around anything remotely to do with journalism."